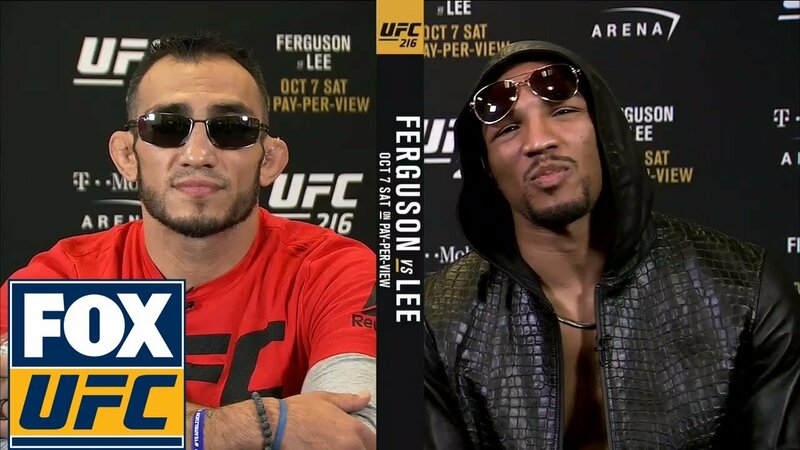 So we know now at this point that when Tony Ferguson and Kevin Lee come together there’s fireworks. Following along from their face off before UFC 216. Things get a little heated between Tony and Kevin ahead of their interim lightweight title fight. The top contenders who are both former alumni from the same college are finally ready to put it all on the line. And every time they get on the mic together, that much is very evident. Ferguson who has been the number one contender for some time. Has seen Lee come charged through in his rearview. Passing several higher ranked guys in the process and being able to land a disputed number one contender spot winner takes all fight. For Lee himself, it’s long overdue. At only 25 and already with 11 fights in the UFC. The Motown Phenom believes is time is now. Lee feels that even though Ferguson is the top dog in the division. He hasn’t evolved over time. Instead, opting to be one of those fighters who doesn’t look critically at his own performance. And it’s not just on camera that these two have been clashing in the lead up to the fight. Having bumped heads a number of times off camera. Both have their own interpretation of how their interactions played out away from the bright lights of the media. Saying all that Ferguson now at least can acknowledge that Lee is a worthy contender. When the others went running in his eyes, Lee was there to sign on the dotted line. But, El Cucuy feels as though it’s a mistake on his part. And it’s too much too soon for the Detroit native. Kevin Lee, on the other hand, believes that this is his time to shine. And fight night at UFC 216, he believes he will show the world why he is the number one lightweight in the world. Not Conor McGregor who has only fought one guy in the weight class and is yet to defend his title.